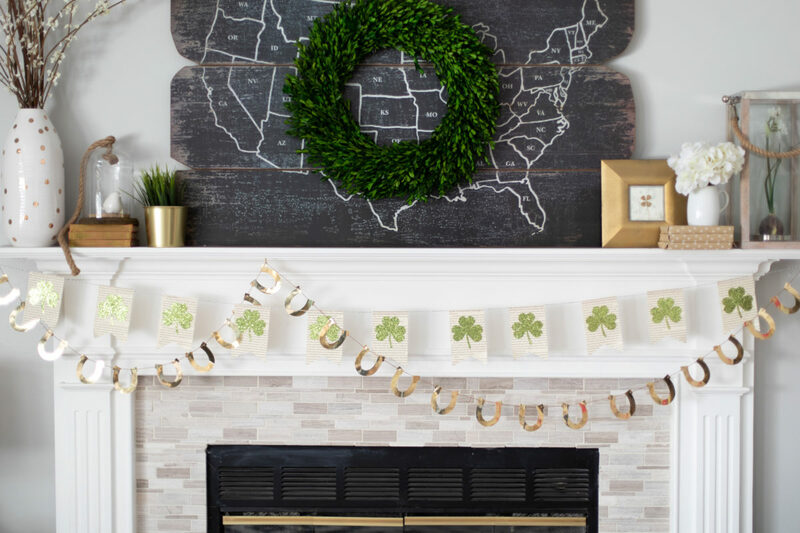 Add a little more luck of the Irish to your home by making these mantle garlands. 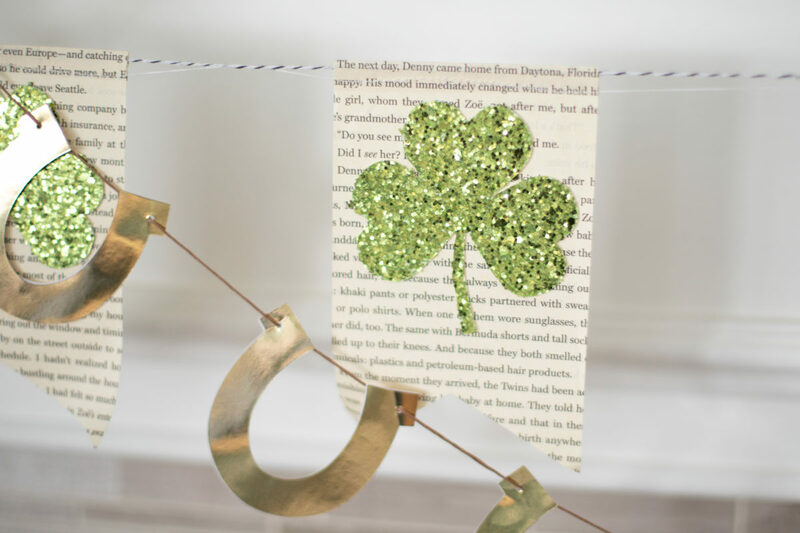 Making these garlands is a really simple way to dress up mantle for the St. Patrick holiday. Follow along if you’d like to know how you an make your own. 1. 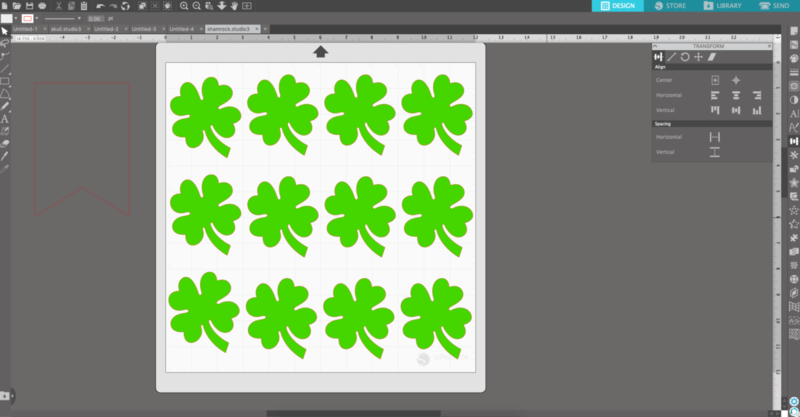 First open the Shamrock Pennant design (ID #75730) in Silhouette Studio® and ungroup the design. 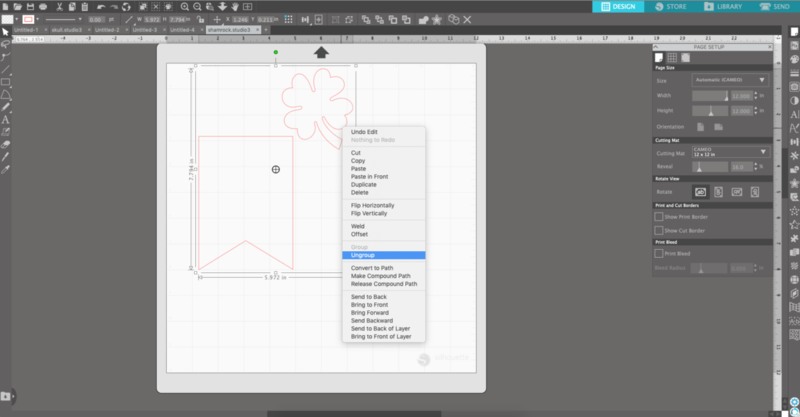 You can do this by right-clicking and selecting Ungroup from the drop-down menu. 3. 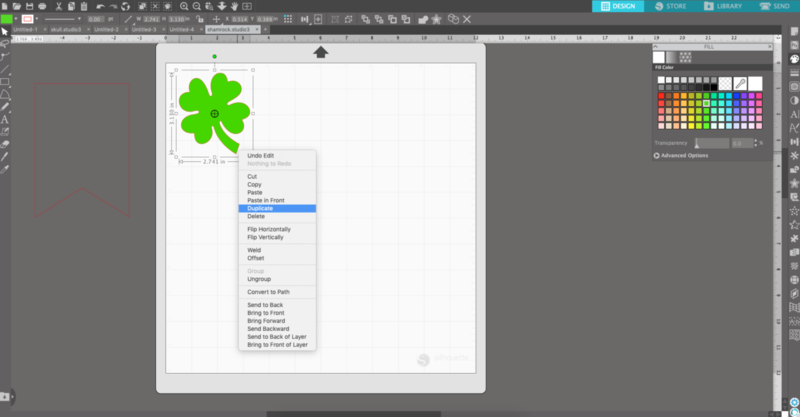 Duplicate the shamrock by right-clicking and choosing Duplicate from the drop-down menu. 4. Fill the cut field with as many shamrocks as you need. 5. 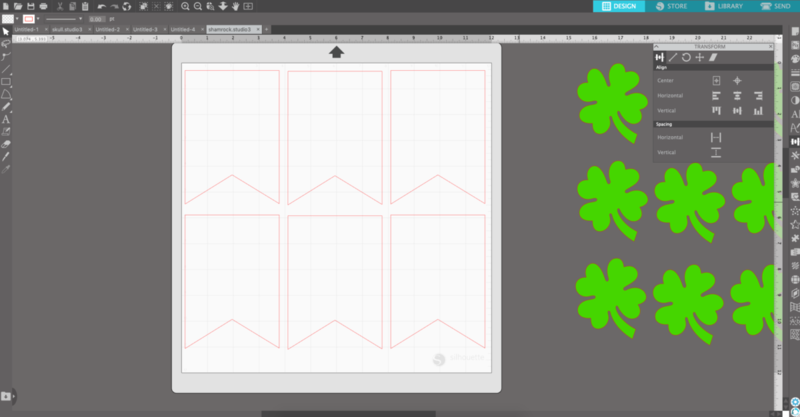 Move the shamrocks away from the cutting area and duplicate as many pennants as you need. 6. 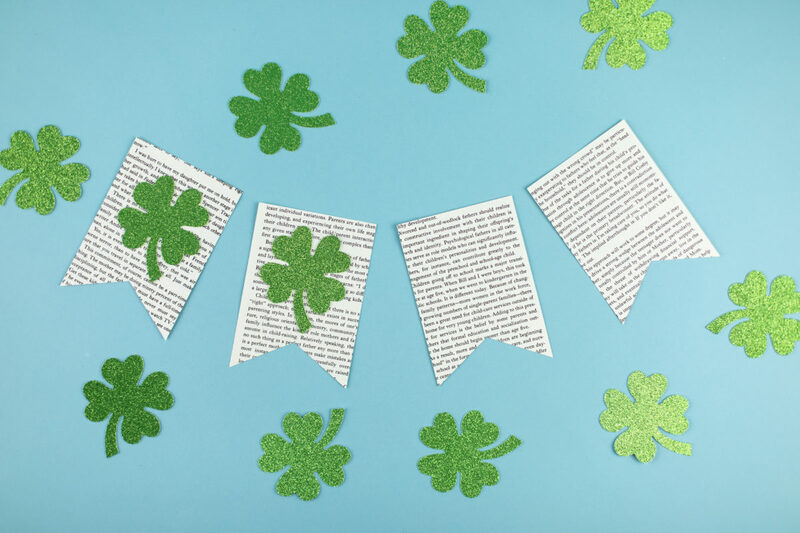 Cut the pennants out of the book paper and the shamrocks out of the green glitter cardstock. 7. When all the designs have been cut, adhere the shamrocks onto the pennants and glue the pennants onto twine to create the garland. 1. Repeat the steps above with the design (ID #120722) and then thread the design through the holes in the horseshoe. Now hang your garlands and enjoy! 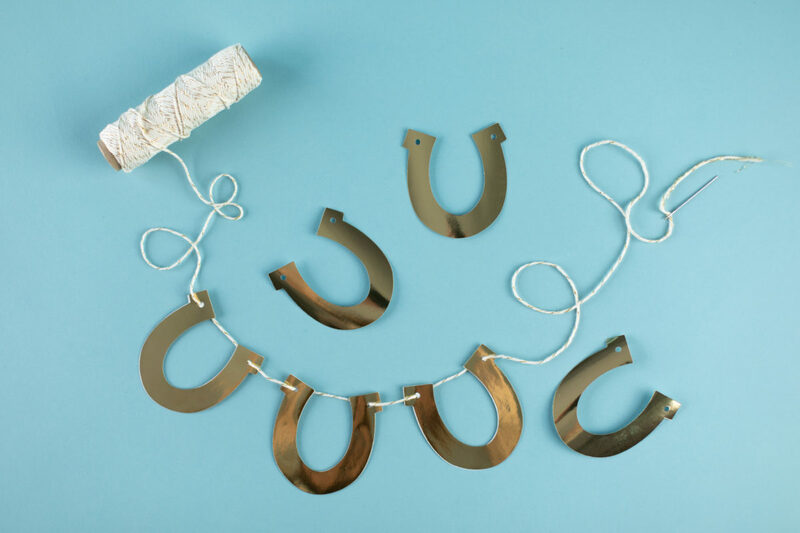 And may you have a little bit of luck come your way with these darling garlands!